The Day We Rode the Rainbow for just $18.99 when you order through PayPal! Click Below to Order with Paypal! 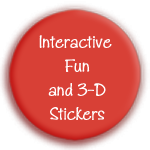 Library Book Version without Color-Me Page and 3-D Sticker Elements is also available. Buy 10 books, book # 11 will be donated to a Children’s Hospital or Charity of your choice.